Fake drugs are pharmaceutical substances that either contain the wrong or no active ingredient at all. In some case fake drugs may be contaminated or even contain the right active ingredient but at the wrong dose or concentration. Fake drugs are illegal and may be harmful to your health. Available data indicates that each year, fake or substandard medications kill more than 300000 people worldwide. What Is A 215 Pill? The round blue pill with an imprint A 215 has been identified as a pill containing 30 mg of Oxycodone Hydrochloride. A 215 Pill is a prescription medication used to treat moderate to severe pain. Oxycodone is a strong narcotic pain-reliever and cough suppressant similar to morphine and rapidly produces tolerance which can lead to addiction and adverse health effects. 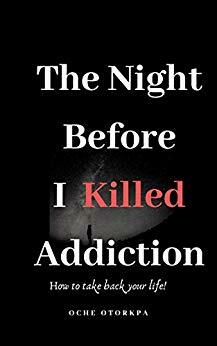 The Canadian Medical Association Journal reported in 2009 that deaths related to oxycodone in Ontario increased fivefold between 1991 and 2004. What are the side effects of A 215 Pill? According to the National Institute on Drug Abuse, 18,000 died in the US from prescription opioid pain relievers in a single year. Fake A215 Pills are imprinted with the same “A/215” imprint that was assigned to a legal 30mg oxycodone pill. However, they do not contain oxycodone but heroine an illegal and highly addictive drug produced from morphine, a naturally occurring substance extracted from the seed pod of certain varieties of poppy plants. Fake oxycodone 30mg A 215 has a wide ranging effect on behavioral health. 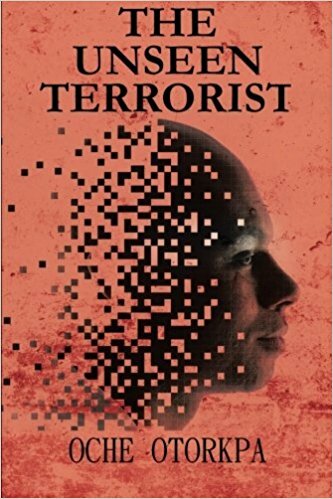 Its entry into the human body leads to changes in the physical structure and physiology of the brain, triggering long-term imbalances in neuronal and hormonal systems. Fake A215 pills have also been found to contain Tetrahydrocannabinol (THC) the major psychoactive ingredient in cannabis (Marijuana). As fake drug manufacturers continue to acquire new technologies, it is becoming more difficult to tell a fake A215 pill from a genuine A 215 pill. Here is how to detect an A 215 Pill. The World Health Organization (WHO) states that visual inspection is still one of the most important steps in identifying potential fake drug irrespective of the analytical methods used. The major idea here is to look for the following font variation in the imprints on the pills and the pack for inconsistencies. 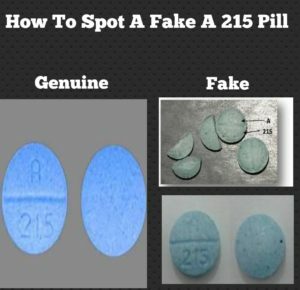 – Most A 215 pill Fakes are light greenish. This was done by the counterfeiters to mimic the exact color of the genuine 80mg oxycodone. The blue fakes are dull looking as compared to the bright blue color of the genuine drug.